It’s been a great year so far for the Markham Speed Skating Club. With provincial championships on the horizon, it could be even better soon. This has been a year full of growth and personal bests for the club from top to bottom. During the past decade, Liew has seen the club grow from a single hour of ice time at Mount Joy Arena to the sizable program it is today. “The club went from one hour a week to six hours a week of ice time,” Liew said. “We have kids doing short-track, long-track, competing nationally and internationally, kids chasing their dreams, all right here in the City of Markham. That was apparent as Markham hosted its annual meet back in early December at the Angus Glen Community Centre, which was no small endeavour. The 10th annual meet required more ice time than they’d initially anticipated when it was discovered how many skaters wanted to attend. 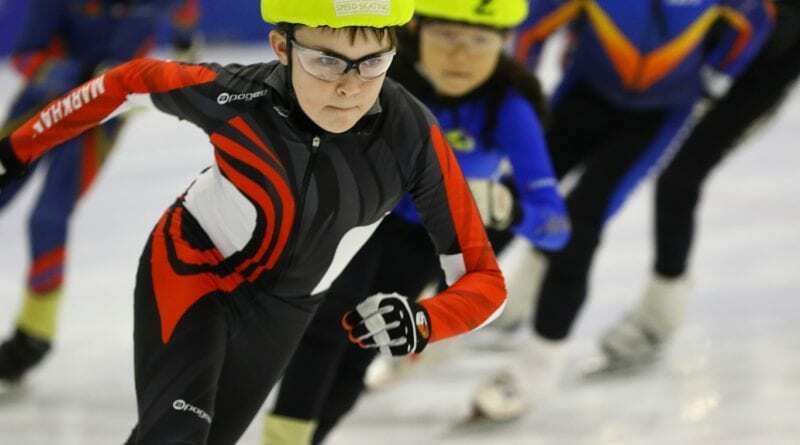 A number of Markham skaters medaled at their local event, which focused on short-track competition. 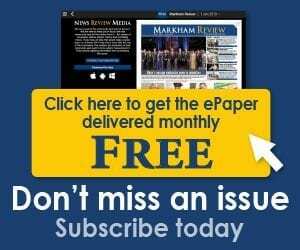 Although there is no permanent oval in Ontario, Markham has still produced a number of fine long-track skaters as well. The athletes at the Markham Speed Skating Club are fortunate to receive tutelage from a former Olympian in Valerie Cavar. 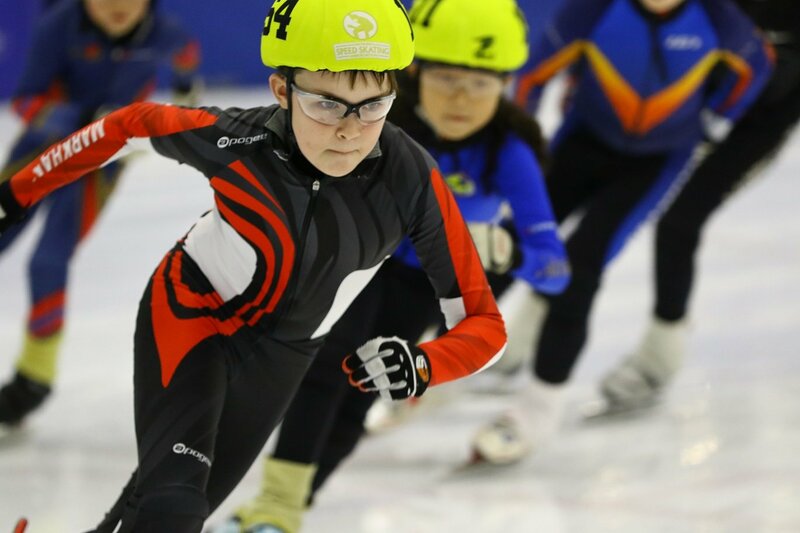 While the numbers across the board are up for the club, Liew has noticed the biggest increase comes from skaters in their youngest age group. Between the high-level athletes and the recreational ones, Liew believes that there’s a place for everyone at the Markham Speed Skating Club. Photo: Markham’s Ben Butterworth, one of 32 local club athletes to compete at their home event, leads the pack in his race. Photo courtesy of the Ontario Speed Skating Association.